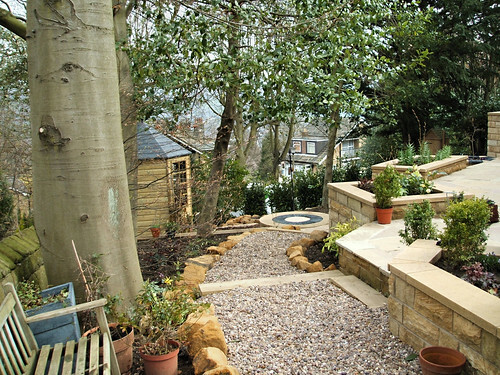 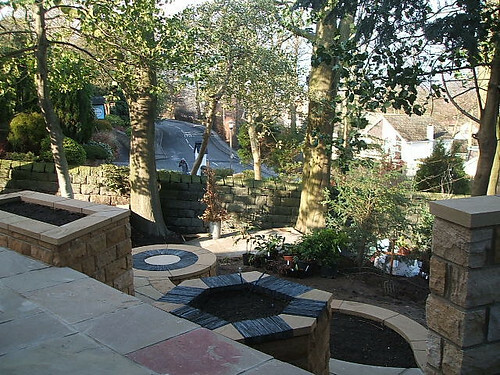 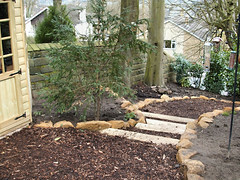 Terraced hillside garden with woodland planting. 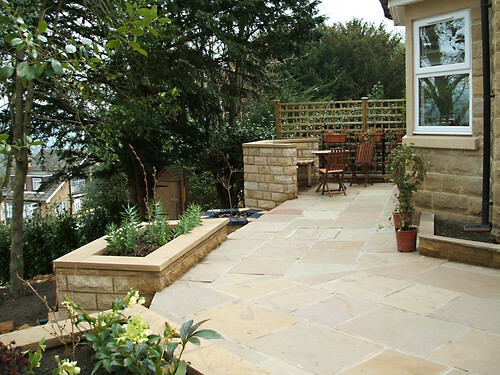 The formal terrace surrounding the property echoes the footprint of the house design. 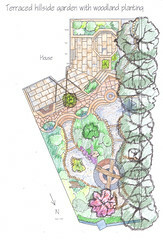 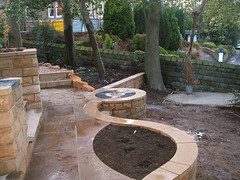 The design then becomes more organic as you progress down the garden with the Wildside Terrace curving graciously into the dangly leg platform. There is a wood nymph temple in the garden and architectural objets trouve are scattered in the woodland planting. 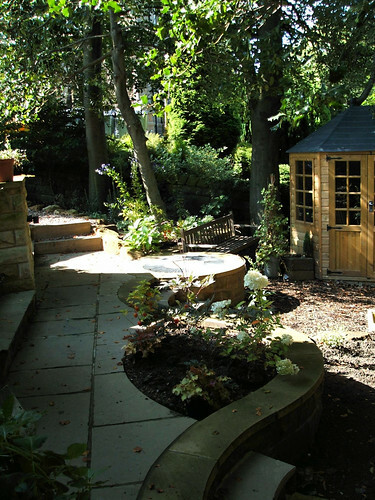 "Rather belatedly we would like to express our gratitude for the wonderful garden you created for us. It has given, and continues to give us immense pleasure every single day. 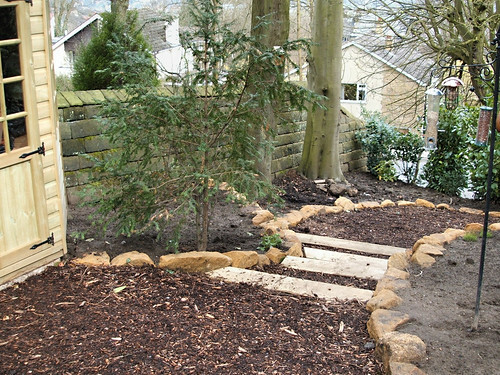 We realise we presented you with an awesome challenge requiring you to convert what was just a dark, tree filled and steeply sloping wilderness into something wondrous. There was never any doubt you would exceed our expectations even from the initial site visit and our confidence in your abilities grew at every stage in the process, from design, through project management until completion. 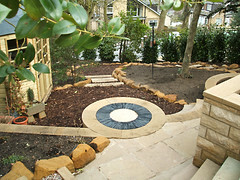 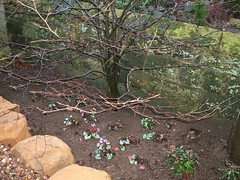 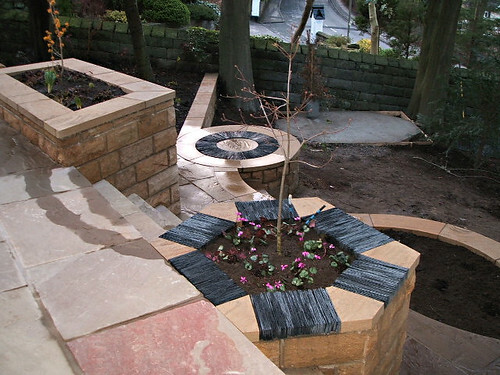 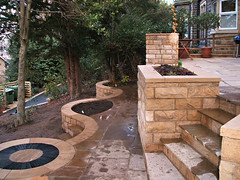 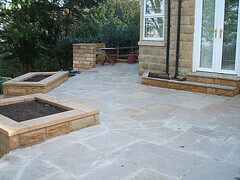 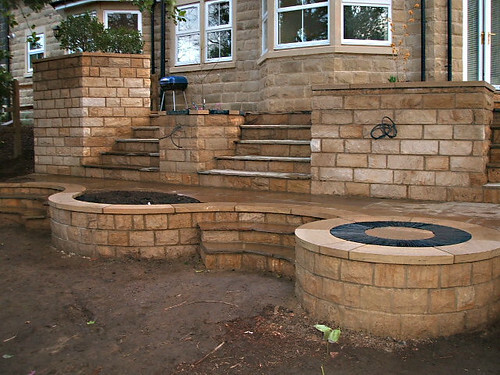 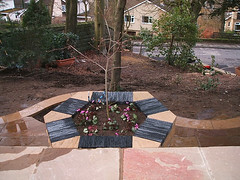 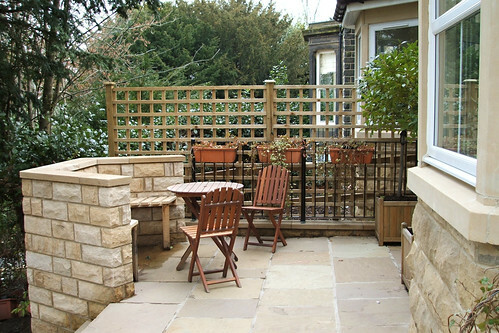 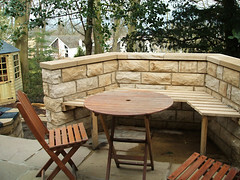 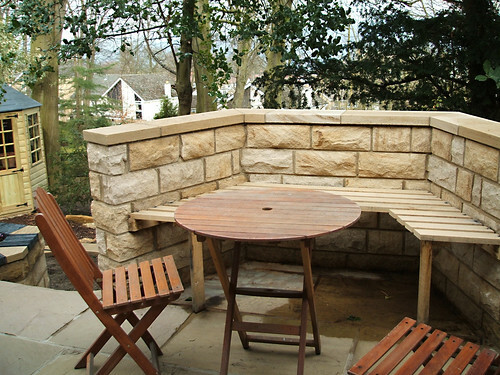 As the garden matures and the terraces and stone work become weathered so its beauty is enhanced and constantly changes. 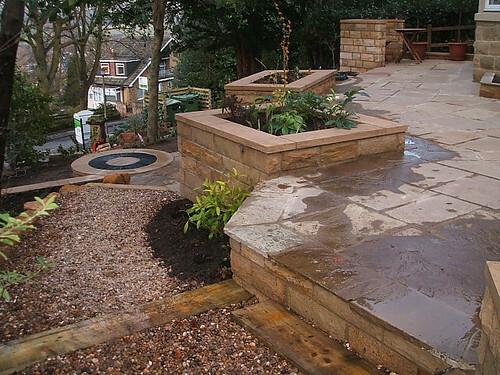 Just as your vision predicated it would. 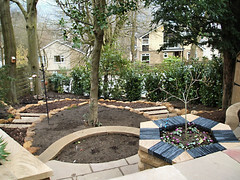 Obviously we have still a huge amount of work to do, selecting and planting new things in addition to nurturing and maintaining the plants you originally planted. 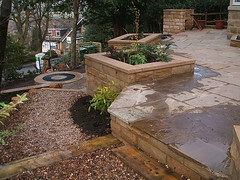 So thank you and we both wish you every success in the future and would have no hesitation recommending your expertise and considerable talent to friends and strangers alike. 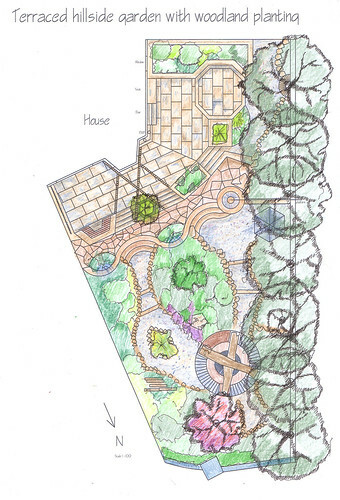 Just continue to create beautiful gardens."